This post was written by Kris Cheng and originally published on Hong Kong Free Press on April 19, 2016. The version below is published on Global Voices under a partnership agreement. A new web application, created by advocacy groups and a Hong Kong researcher, aims to give the public a better understanding of what exactly internet providers and mobile phone companies know about them, how they use that data and who they share it with. The site, Access My Info, was launched on April 19 to enable citizens to protect their privacy and personal information. The site generates a letter to internet service providers and mobile phone companies within a few clicks, for users to send to relevant privacy officers of the companies to request data about themselves. The letter which the app produces can usually be sent by email. But a few high-tech companies, including CSL/1010, China Mobile and SmarTone, insist on paper through the post. The mission of the project was to further simplify the process of accessing the data and raise public awareness of personal data protection and its importance. It was based on an original version developed in Canada by the Citizen Lab at the University of Toronto and advocacy group Open Effect. 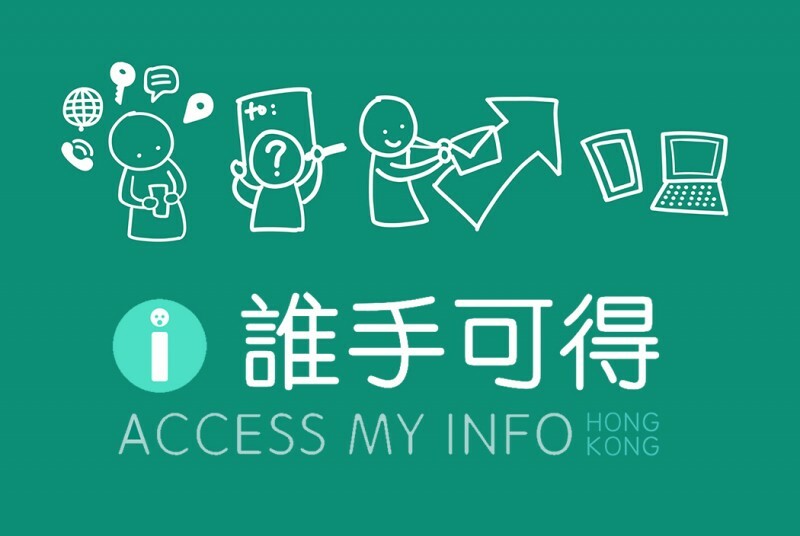 Advocacy officer Yu Yee-ting at In-media – a Hong Kong organisation involved in the project – told HKFP that there had been a rising number of complaints to the government Office of the Privacy Commissioner for Personal Data, of which “a large number is about personal data requests”. In 2015, the Office received a total of 18,456 inquiries, representing an increase of 7 percent compared with 2014. Fourteen percent of the inquiries were concerned with data access requests, 12 percent with employment, 11.9 percent with use of personal data in direct marketing, and 6.5 percent with collection or use of Hong Kong identity card numbers or copies. The site provides a legal way for the public to access their personal data under the Personal Data Privacy Ordinance, which requires companies that collect and use personal data to provide individuals with access to their personal information on request within 40 days, for little to no cost. The tool, from Citizen Lab's privacy-protective design, ensures all information submitted by the users run entirely within the user’s web browser and will not be shared with the project. The project hopes to gain insight into how personal data is collected, processed and shared in Hong Kong. Users are invited to volunteer for a survey about the response they received from the company in question. The answers will be aggregated with others to help the groups better understand what happens when people file the requests. The collectives behind the localized project are In-media and Keyboard Frontline and Dr. Lokman Tsui, an assistant professor at the School of Journalism and Communication of Chinese University of Hong Kong and a faculty associate with the Berkman Center for Internet and Society at Harvard University.